Lauren Brittingham is the Director of Organizational Development at Bayhealth Medical Center, a not-for-profit healthcare system with more than 3,700 employees. Seven years ago, Lauren was hired by Bayhealth Medical Center to focus on “special projects” for the Human Resources (HR) department. She has grown a successful career in HR ever since, climbing up the ranks to director-level at Bayhealth Medical Center. With a Master’s Degree in Public Administration (with a concentration in Health Policy) and seven years of HR experience in her back pocket from Bayhealth Medical Center, she is well equipped to make a powerful impact on Bayhealth Medical Center’s culture and employee experience. 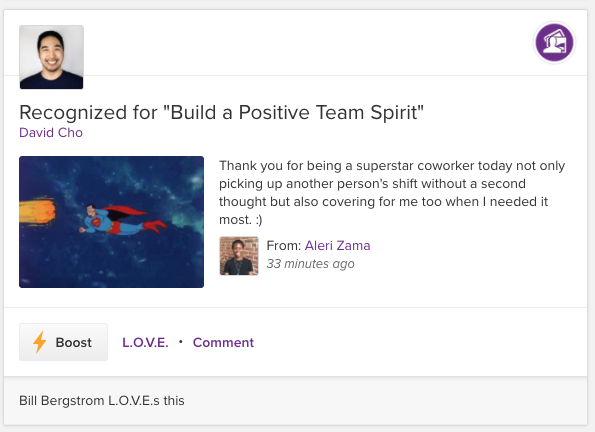 When it comes to the employee experience, Lauren’s biggest focus is making employees feel valued, respected, and appreciated. She truly believes that no matter how small a job is or how junior an employee might be, every job is important in helping an organization run effectively and efficiently. 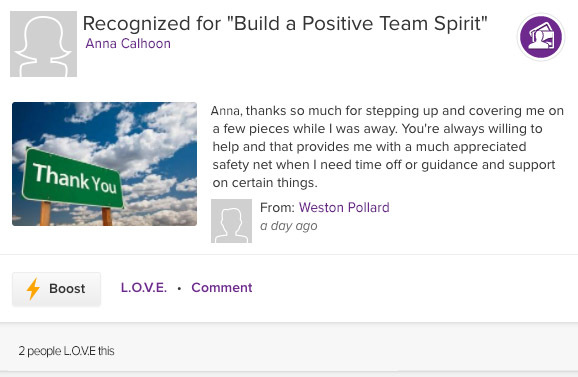 Creating a positive employee experience isn’t always easy and doesn’t always come with immediate support from frontline employees or leaders, but Lauren makes it her priority to ensure every employee is working towards creating a positive experience. After all, an unbeatable employee experience is what keeps employees wanting to come back to work and put their best foot forward. We want to take a moment to recognize Lauren for her accomplishments in employee engagement. Below, she answers a series of questions, providing advice for fellow HR professionals and sharing her personal story. I initially took a job offer to work on “special projects” on the Human Resources team at Bayhealth Medical Center as my foot in the door to the healthcare industry. While I thought my placement in HR would be temporary and I would find a different role elsewhere in the organization, I found myself gaining more and more responsibility. Within my first year at Bayhealth Medical Center, I updated close to fifty HR policies, managed the employee engagement survey, and was promoted to a manager role which required me to oversee the front-of-house operations and workers’ compensation program. I found my work interesting; instead of focusing on creating policies and programs to help patients, I was creating policies and programs to support healthcare workers, who in turn care for patients – a spin on my initial career goal of wanting to work in Health Policy, but a very important one at that. Each year I gained more responsibility in the HR department, including recognition and rewards, employee relations, and organizational development. I felt very connected to my work in HR and gladly took on new projects. In February 2018, I was promoted to Director of Organizational Development at Bayhealth Medical Center. At our organization, we have a lot of employees and leaders who have worked at Bayhealth Medical Center for a long time (20+ years) and many employees whose only work experience is at Bayhealth Medical Center. These long-term employees are very in tuned with the organization’s history and often compare previous work experiences or benefits to new initiatives. While working to overcome this challenge requires constant focus, we try our best to explain the “why” behind new initiatives by incorporating facts about industry standards, economic trends, and the changing workforce. We also tailor our communication style to speak specifically to certain generations. Overcoming this challenge isn’t easy, but providing the “why” behind the “what” provides transparency to help earn trust from our employees and shows that there is a strong business reason as to why we may be changing some things in our organization. What is your favorite employee recognition moment at Bayhealth Medical Center? 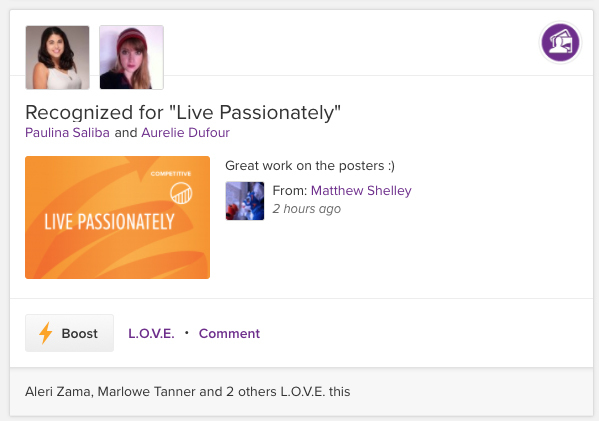 My favorite moment was when we implemented Driven, our recognition and rewards program powered by Achievers. We put a lot of effort into the program’s rollout, including going to hospitals during night shifts to encourage employees to sign up and start participating in the program. We even passed out stickers of the program’s logo for employees to wear. It was fun seeing employees walk around our hospitals wearing Driven stickers and scrolling through tons of recognitions on Driven’s newsfeed as soon as the program launched. You could feel the excitement from the employees for our new recognition and rewards program. This excitement continues to live on today, with Driven remaining a very active platform and recognition being spread across the organization on a regular basis. 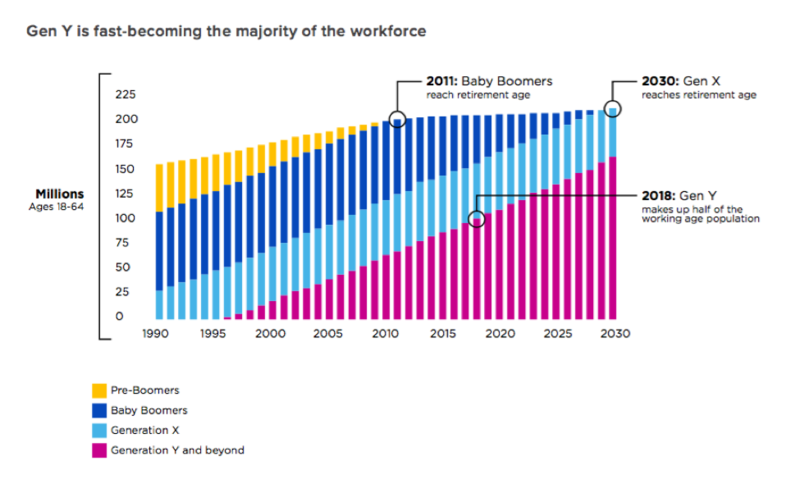 As we know, millennials are taking over the workforce (yes, yes we are!). Millennials are coached, as I even remember being coached in college, to not settle for the first offer of employment, negotiate salary, and look for benefits that support work-life balance. Gone are the days of employees being loyal to one organization from teenage years all the way to retirement. The future of engagement depends on recognizing these changes in the workforce (like it or not) and embracing them. What worked for one generation won’t work for another. Employees may be asking for more, but it doesn’t mean you have to give more – you just need to be more flexible. If you don’t recognize the changing workforce and apply necessary changes, your business will fail to keep up with competitors as a result. #1: Understand who you are addressing in your employee population as well as the clients you serve. What job roles are represented? What is the generational breakdown? What is the range of tenure with the organization? How will engagement strategies affect clients and employees, positively or negatively? Knowing these details are important when it comes to tailoring your message and strategic plan. #2: Sometimes implementing engagement strategies elicit strong emotions and pushback from others in the organization; this includes everyone from frontline employees to leadership. Remember to focus on what the overall goal is and remind yourself that changes are not personal. Just because one thing has worked in an organization for 40 years does not mean it will work forever. Coaching leaders to embrace change is important in continuing your journey to further enhance engagement. #3: Focus on what keeps your employees engaged AND your customers engaged. Focusing too heavily on one end of the spectrum instead of looking at both can leave your organization feeling like a) the employee doesn’t matter, or b) the customer doesn’t matter. Understanding the needs from both groups can help you determine how to approach engagement initiatives with employees while still delivering the best experience to your customers and vice versa. What’s next for Lauren? She and the Bayhealth Medical Center team are continuing to look at what they can do within the organization to further enhance and increase employee engagement. They are continuously improving everything from benefits and work-life balance to recognition and rewards. Lauren is also involving leaders more than ever before in engagement programs. By involving leadership more in engagement initiatives, leaders have higher accountability to connect with their staff and promote a work culture that truly engages employees. Bayhealth Medical Center’s employee recognition program, powered by Achievers, caters to 3,700 employees across central and southern Delaware. Since launch in 2015, the program has seen a 95% activation rate, 75% monthly active usage, and 19,500 leader-sent recognitions in 2018. To learn more about the award-winning platform that powers Bayhealth Medical Center’s recognition program, sign up for a demo of Achievers today. Before you can help employees adjust to upcoming changes, you have to be aware of what they are feeling. From the moment the merger is first announced, your entire workforce is likely to be distracted by uncertainty. It’s disturbing to imagine one’s livelihood simply disappearing, especially for those workers who are older or who doubt their ability to land an equivalent job. Employees may even wonder if financial pressures or job-hunting may force them to move out of their home. Relationships inside and outside the workplace may suffer, and engagement in job tasks often plummets. The more your workers understand about what to expect, the better equipped they’ll be to meet the challenges of change. Cianni advises management to use accurate language right from the beginning: “If [the transaction] is an acquisition, call it that, versus using terms like merger or combination. The less ambiguity about the integration approach, the clearer the messaging to employees.” You build trust by being direct and truthful. Most of the information flow during mergers move in only one direction, because workers are anxious to know what to expect. Nonetheless, this is a time when you should make a special effort to empathize with your employees. Let managers know that it’s helpful for them to meet one-on-one with direct reports so they can find out what’s on everyone’s minds. Glassdoor recommends that companies seek input from old and new employees alike regarding how the transition is going. They may have valuable suggestions and feedback that can help everything move along more smoothly. Similarly, when you hold HR meetings to orient staff to new benefits or policies going forward, it’s important to allow time to listen to and address employees’ concerns. Sending out anonymous surveys ahead of time is another useful way to find out what’s keeping your workers up at night. Employees need to know that the company takes their questions seriously and value their input. 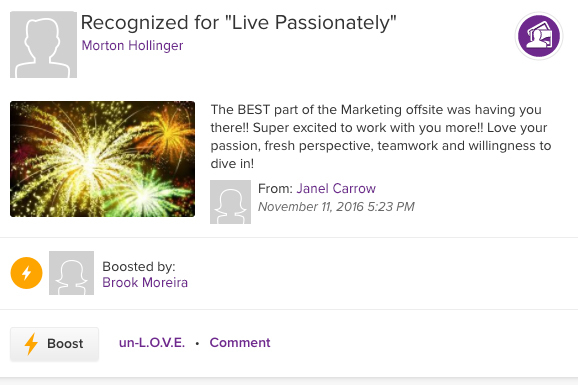 There may never be another time when it’s as crucial to express your company’s appreciation to employees. 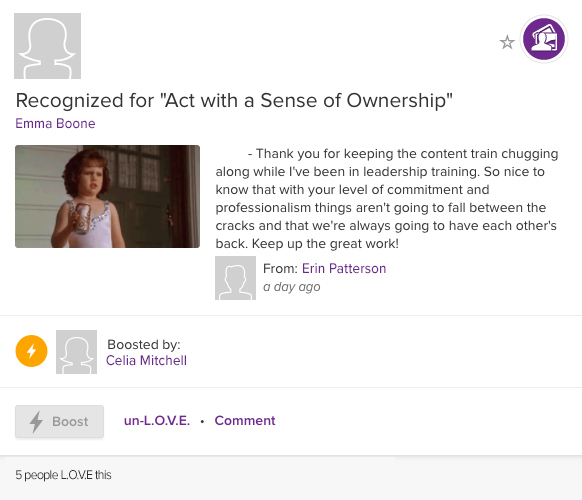 Connect with your managers and discuss how they can use recognition to unify their teams. 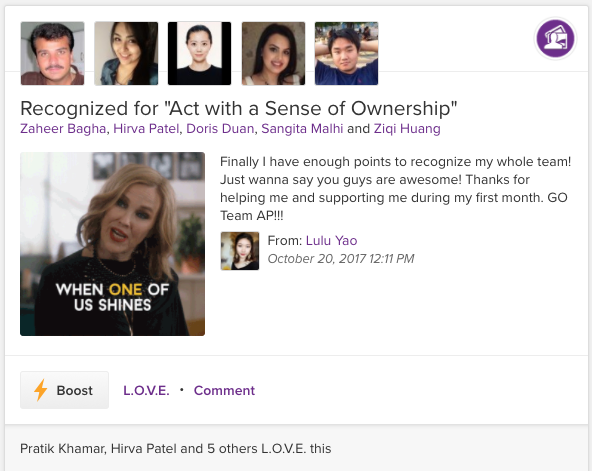 RecruitLoop points out that after a merger, “Setting a proper incentive or rewards program is essential to boost the morale of your new employees and make them feel part of your organization.” If the merger results in the integration of new employees, a peer-to-peer recognition platform is an excellent way to begin the process of bringing everyone together. When handled effectively, mergers represent a surge of fresh energy and inspiration for the entire organization. HR professionals have a major part to play in the success of this transition. To learn more about how employee engagement and the right strategy can positively impact your workplace culture during times of change, download our ebook: Engage or Die: How Companies that Act Fast on Engagement Outpace the Competition. 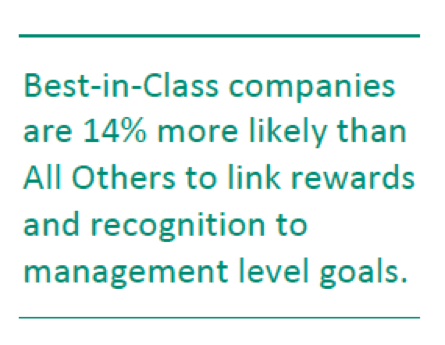 Which company has already reaped the benefits of instituting a recognition culture? 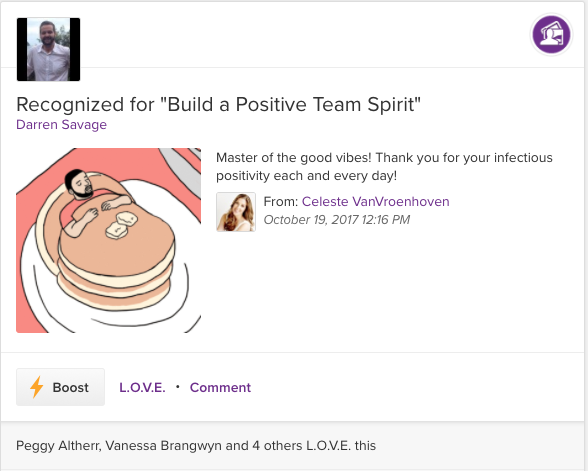 Availity, the nation’s largest real-time health information network, has maintained a fun and engaging work culture with its employee recognition and rewards program, LOVE (Living Our Values Everyday). Availity employees continue to embrace the Achievers platform as a method for celebrating accomplishments large and small, with nearly 70% sending recognitions and 98% receiving recognitions in the first year of the program. To learn more about Availity’s success, access their case study here. While this number is certainly frightening, the good news is that turnover is an easily avoidable problem and with the right tools, your company can ensure that top talent is not leaving your company. It’s also worth mentioning that none of the following causes and solutions presented here exist in a vacuum—when an employee quits his or her job, it’s usually a reflection of many factors that led him or her to finally quit. Hiring managers and putting people in charge who show compassion and have the skills to manage others is one method to combat employee turnover on the front lines. Achievers employee survey showed that 57% of employees don’t feel recognized at work, and Entrepreneur claims that when workers are not recognized, they are not motivated. Low motivation can make an employee that much closer to quitting his or her job, or even put him or her over the edge far enough to finally quit. Performing a top-down audit of your management team can have a huge effect on your entry-level workforce. While you may not have direct contact with these employees, the managers you choose certainly do. It is absolutely crucial that your management team is personable and qualified to lead. Poor managers also make it more difficult for an employee to work, and if the job itself (which may already be difficult by nature) is harder than necessary, an employee might find it not worth it to work there any longer. Address this issue early on by being transparent with recruiters about what traits you’re looking for in a manager during the hiring process. Work flexibility is important for every employee at every level. I’m sure you can remember the last time you had to leave the office early or take a personal day for an inevitable issue. Being flexible with policies and protocols shows your employees that you understand that life happens. When an employee thinks that his or her employer is understanding, you reduce his or her risk of leaving the company. On the other hand, if an employee thinks that the company doesn’t understand his or her life situation, then it’s more likely that the employee will try to find a job for an employer who does care. On the same train of thought, flexibility in other areas will show your employees that the company cares about them. Since entry-level employees may not be making as much money as they need to be able to save a hefty sum for emergency expenses, offering financial flexibility is another area to focus on if your company cannot afford to pay them more. One such initiative is allowing your employees to control the frequency of their pay. Simple add-ons to your existing payroll system allow you to do this at no cost to your company and no changes to the way your company handles payroll. In result, a study by DailyPay showed that employees are 1.9x more likely to apply for a position whose job description mentions that it offers daily payments. 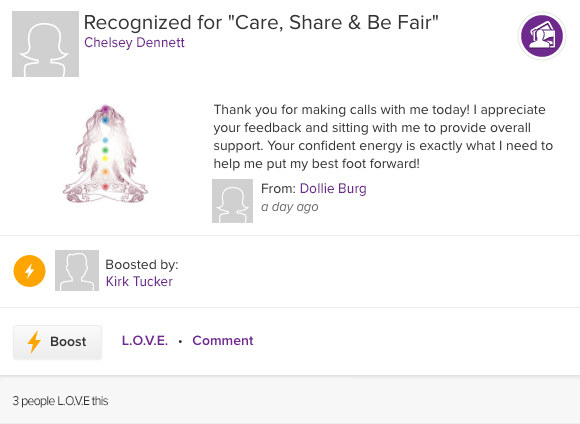 Along with the previous point about hiring managers that care, instilling an employee recognition and rewards program that allows you to easily highlight achievements and strong work will also show your employees that you care and appreciate them. Making it as simple as possible for your managers to recognize employees on a daily basis will help ensure that your managers are actively participating. 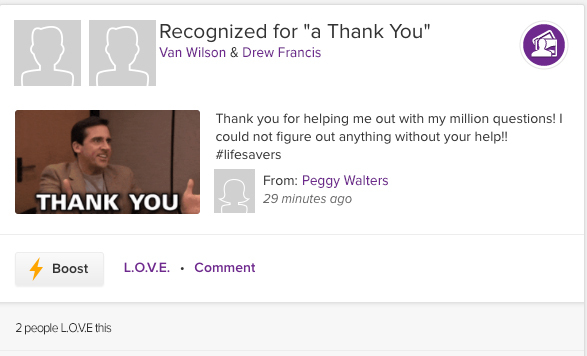 By promoting this type of program across your organization, you are letting employees know that your company takes employee recognition and happiness very seriously. In the current job market, it’s becoming increasingly harder and harder to hire top talent due to the record low unemployment rate and tight job market. Employees across all industries and skill levels are continually searching around to see which company will offer him or her the best complete package. Additionally, it’s been reported that if you offer help to improve financial wellness, employees are more willing to work for your company. The plain advice is that offering work perks and advantages that your competitors are not offering will help put your business ahead in overall employee preference. Now more than ever, it’s crucial that your company is doing everything in its power to retain your current workforce and improve its employee retention rate. Since it is incredibly hard to fill open positions, you must prevent the need to fill open positions by retaining your workforce. In turn, your company will save time and improve its bottom line significantly without the recruitment costs and countless hours spent searching for talent. Try out some of these tips and let us know which worked best for your company. To learn more about employee retention, check out this fun infographic covering 6 Stats That Speak to Employee Retention. Seth Loftis works at DailyPay, Inc., a financial solutions company dedicated to reducing employee turnover by improving the financial lives of employees. Employees can receive their wages days before their scheduled payday at no cost to your company or change to your existing payroll system. Learn more at trydailypay.com or follow them on Twitter or LinkedIn. Horizon Blue Cross Blue Shield of New Jersey (Horizon BCBSNJ) is strengthening employee engagement. Are you? In a recent Gallup survey, they found that only 1 out of 3 U.S. workers feel they received adequate recognition in the past seven days. Even worse, employees that aren’t recognized at a satisfactory level are twice as likely to leave their job compared to those that are. Why should you care? Because 70% of workers say they’d work harder if they felt their efforts were better appreciated and companies with the most engaged employees report revenue growth at a rate of 2.5X greater than their competitors with the lowest levels of engagement. 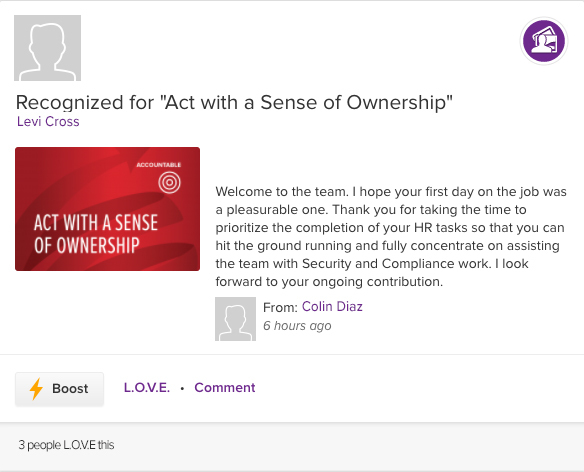 It’s clear that an effective employee engagement program that makes recognition timely and ubiquitous can help your company reach new heights. Let’s take a closer look at Horizon BCBSNJ for example. With a commitment to serving with excellence and dedication, Horizon BCBSNJ has worked to deliver quality health insurance to the people and businesses of New Jersey for over 80 years. This commitment to dedication and enrichment isn’t limited to external recipients. HBSBCNJ understands that their success as a business would not be not possible without an engaged and committed workforce. Because they place such an emphasis on the well-being of their employees, they have historically scored high on employee engagement surveys. But in 2013, seeking to replace their manually facilitated employee recognition program with a streamlined, automated solution, Horizon BCBSNJ partnered with Achievers to offer their employees an unbeatable platform that would better leverage the modern workforce’s affinity for frequent, specific recognition to obtain key business objectives. Gallup states that recognition “might be one of the greatest missed opportunities for leaders and managers.” Horizon BCBSNJ is not missing out on this massive opportunity for management; their leadership team is among the most active users on Step It Up, solidifying the employee engagement and recognition program as a very important pillar of their employee strategy. Furthermore, with trackable data flowing through the system, Horizon BCBSNJ’s HR team has a better understanding of concepts that used to be a guessing game, such as employee morale, and can swiftly pinpoint the cause of any decrease. The results realized at Horizon BCBSNJ is proof that any workforce can benefit from an effective employee engagement and recognition program, even one that is already engaged. To learn more, access Horizon BCBSNJ’s Case Study. 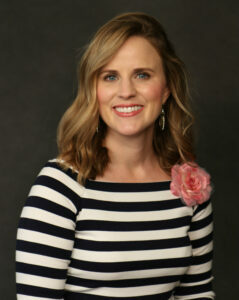 Jessica Thiefels has been writing and editing for more than 10 years and spent the last five years in marketing. 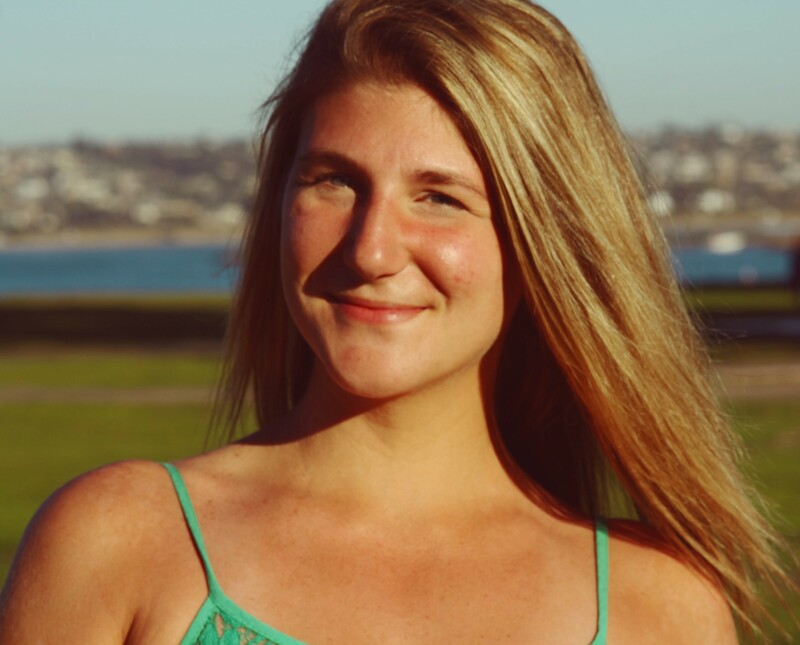 She recently stepped down from a senior marketing position to focus on growing her own startup and consulting for small businesses. She’s been featured on Forbes and has written for sites such as Lifehack, Inman, Manta, StartupNation and more. When she’s not working, she’s enjoying sunny San Diego with her husband and friends or traveling somewhere new. Follow her on Twitter @Jlsander07. Today’s workplace is evolving rapidly. The recent focus on employee engagement has taught us plenty, including how closely tied employee engagement is to an organization’s success, and what happens in this disrupted, transformed workforce without engagement: our top talent moves on. 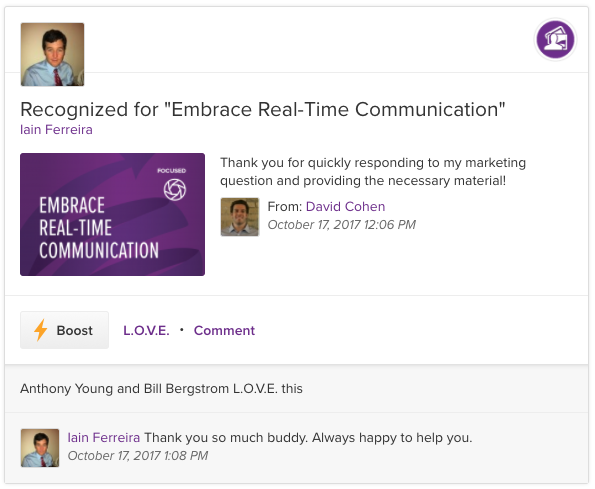 We also know that one of the primary drivers of engagement is recognition. So where do those understandings lead? If we want to be successful in this changing landscape they lead to a workplace culture built on recognition, rewards, feedback and transparency. Leading health information network, Availity has aligned its corporate values with its employee rewards and recognition program, supporting a fun and engaging work environment, and ultimately solidifying its culture of transparency and respect. When we look at employee recognition and ask where to start and what to focus on, most of the answers we’re getting point to culture. Culture is not just another word in the special-sauce lexicon of talent management: culture, done right, is the glue that holds a workplace together. But if it goes awry, bad workplace culture can be the source of endless friction that keeps a workplace apart. In fact, and perhaps unsurprisingly, a new SHRM study found that more than three-quarters (77%) of employees say their engagement at work hinges on having good relationships with their co-workers. Positive relationships at work are built on daily interactions between employees and through opportunities for productive, creative collaboration, not occasional projects or isolated moments. Another common expectation that has come to the fore as millennials have entered the workplace in greater numbers, is transparency. Recognition programs limited to “top down” performance incentives handed down by leaders who don’t bother to consult employees on their needs and preferences can shift culture in the wrong way. Instead of inspiring greater buy-in and cultural unity, these misguided efforts may instead inspire a job search. In a workforce that values transparency, a one-directional, hierarchical approach can look like thinly veiled condescension. What does work: opportunities for recognition and rewards that build cultural synergies demographically, structurally, and geographically. These are the stitches in a quilt of recognition that includes everyone on all levels, entry level to C-suite, by enabling participation in all directions: uphill, lateral (peer-to-peer, team to team and across teams and departments), and top-down. Recognition in this form can navigate global divides, connecting multiple hubs and geographically dispersed locations. It can’t be left to a manager to know which of his or her people want the chance to cheer their teammates on, nor should it. And they shouldn’t need to approve recognitions either. To manage recognition instead of enabling it it goes right back to the problem of top-down relationships — it simply gets in the way. On top of that, managers have enough to do, as we all know. 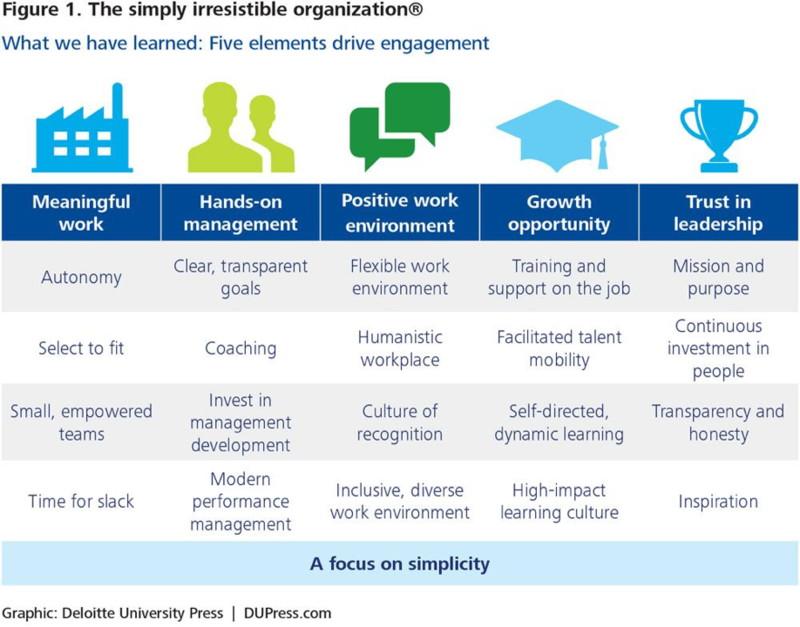 In the latest Global Human Capital Trends report by Deloitte, 85% of executives named engagement a key priority, but understanding how to improve it is another story. Only 34% said they felt ready to deal with issues of engagement, though 46% of companies are tackling it head-on. In terms of recognition, integration means cross-platform, frequency and flexibility. It means offering varying forms of recognition and rewards from social to monetary, from informal “Thank You’s” to big ticket rewards and incentives. Integration also means enabling recognition across any platform: via smartphones, tablets, PCs, or even an on-site kiosk. 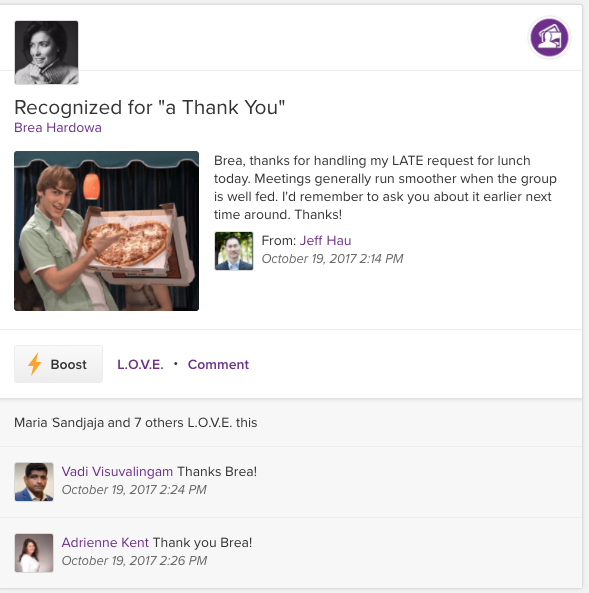 Integrated recognition programs are already evolving: some feature open APIs that connect to other important drivers of engagement, such as health & wellness and learning & development. This also speaks to the importance of culture and another expectation that has its roots in the millennial mindset: that employees should be valued not just as talent, or “human capital” but as real humans with real lives. Workplace flexibility remains a high priority for today’s workforce, but the digital transformation also means that health & wellness, learning & development, and performance management — can all exist online or in app. It’s an easy enhancement with great payback. Moreover, it’s another stream of trackable data. A culture of recognition that exists across multiple platforms and embraces a wide range of functions also provides a continuous stream of data – not just for a CHRO or an HR team to measure and gain insights from, but for managers and leaders throughout the organization. Tracking program ROI and managing rewards budgets is only one part the equation. Again, this is one of the most profound ways to drive and support transparency: by sharing and democratizing the data. Consider the possibilities of a team that can look at its own performance and behaviors; of managers tracking recognition patterns as they relate to engagement and performance. In terms of retention, skills gaps, identifying front-runners and planning successions, it’s an invaluable resource. The right reporting and analytics tools provide another source of in-the-moment feedback as well, part of that reciprocal interaction between human talent and digital tools. 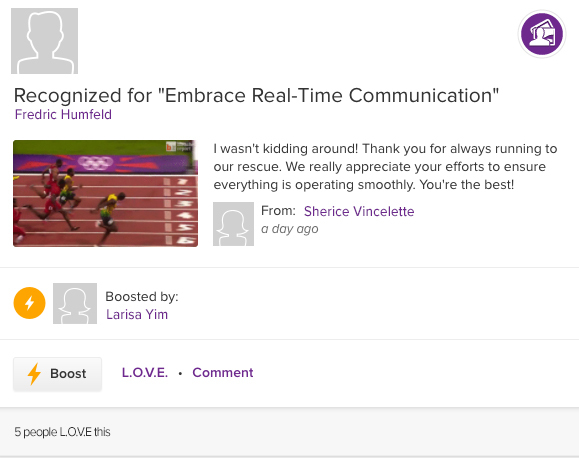 It also makes reporting and ROI part of the very functionality of that recognition culture. In terms of feeling invested in business outcomes, and aligned with business goals, data and graphs speak volumes. 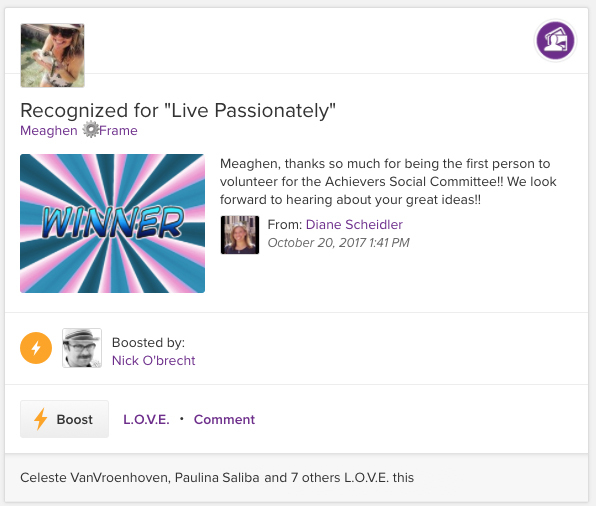 A recognition culture supported by a robust digital platform provides endless opportunities for positive reinforcement, all tying back to tangible benefits and results. 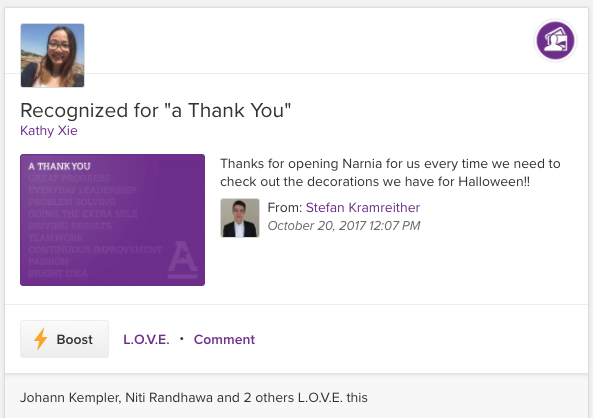 Developed with an organization’s mission and values in mind, a recognition culture should leverage technology to humanize the workplace and provide additional meaning for every task and interaction. In this current environment that values transparency, trust and flexibility, but is more scattered across locations, devices and platforms than ever, this is what it takes. 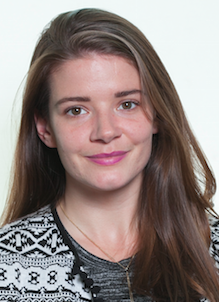 Check out Meghan M. Biro’s third guest blog post 5 Performance Measurement Myths. While you’ll be relating to each of your employees as individuals, you also need to be aware of the fine art of team building. Your staff will be most productive when they mesh well together and have a strong identity as being part of the same team. Clear messaging is a fundamental piece of your management skill set. Focus on what you want your direct reports to hear, and keep in mind that people have varying styles of processing information. The best managers are always in conversation with the people they’re supervising. Asking for feedback helps you avoid becoming isolated, makes you aware of problems before they become critical, and opens the door for innovative new ideas. The best way to elicit great performance from your team is to be clear about your high expectations. Of course, expecting excellence must always go hand-in-hand with providing your staff with all the resources and support they need while holding yourself to the same high standards. One hallmark of inexperienced leadership is a reluctance to delegate crucial tasks. You can’t produce optimum results if you micromanage or maintain control of every single function. Prepare your team well for a project and then let them run with it; you’ll be more relaxed and you’ll achieve more in the end. The agility that characterizes today’s most effective organizations often requires improvisation and free-form cooperation between different departments. You can facilitate this flexibility by maintaining good relationships with your colleagues in different departments while clearly articulating areas of accountability. Employee engagement, productivity and retention all depend to a high degree on the human sense of being appreciated. Make sure that your direct reports are not included in the 53% of employees who don’t feel recognized for their achievements at work. Monetary and social approaches can both be part of an effective system of rewards and recognition. Management excellence is learned, not innate. When you integrate these time-tested tips into your management tool kit, you’ll not only reach your productivity goals sooner, but you’ll also nurture a positive workplace culture. By focusing on becoming a better manager, you will build better work relationships, boost employee happiness, and produce stronger business results.